One of the best-performing large-cap stocks of the last decade, Visa Inc (NYSE:V) has struggled a bit of late. The Visa stock price still is up almost 6% YTD, but over the last two months trading in Visa has been choppy. And, to be fair, there are a few reasons here for caution. Rival Mastercard Inc (NYSE:MA) has a head start in Europe, where Visa’s integration of its Visa Europe unit has been somewhat hit-or-miss. Visa certainly isn’t cheap, trading at over 23x 2019 EPS estimates. Meanwhile, Visa stock slid after fiscal Q1 earnings in February, which perhaps colors expectations for its fiscal Q2 report coming next week. But I thought Visa stock looked attractive after that February sell-off, and even with the V stock price 5% higher, I still believe that’s the case. It’s true that V stock isn’t cheap – but it never is. And with 65% operating margins and 50%+ market share, it shouldn’t be. I’m still not entirely sure why Visa stock sold off after Q1 earnings in early February. A weak broad market certainly did help, but as I pointed out at the time MA stock rose after an earnings beat of its own on the very same day. But Q1 also, as a Guggenheim analyst pointed out this month, represented a trough for Visa’s revenue growth. Numbers should get better as the year goes on – starting in the second quarter. Tax reform will help earnings, and Visa still is guiding for “mid-20s” EPS growth this year. That’s not a normalized figure, because of tax reform help. But even with 9-10 points of EPS growth from taxes, and another 1-1.5 points from currency, Visa earnings still should grow in the range of 15% this year. That makes a 28x multiple to 2018 EPS much more tolerable. And a solid Q2 should remind investors of just how impressive Visa’s growth prospects are. More broadly, this isn’t a one-quarter, or a one-year, growth story. The payments space as a whole is seeing huge valuations. 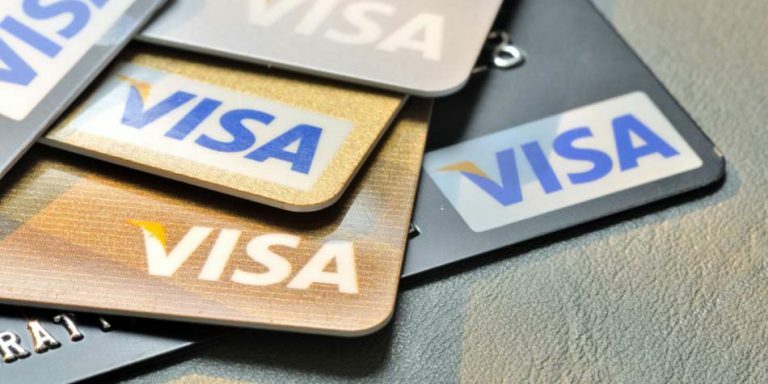 And while Visa shouldn’t necessarily be valued like Square Inc (NYSE:SQ) or PayPal Holdings Inc (NASDAQ:PYPL), it definitely should trade at a premium to the market as a whole. Visa is taking share from American Express Company (NYSE:AXP). More and more transactions are being made through cards instead of cash. E-commerce is going to grow for years to come. This is a classic case of it being “better to buy a wonderful company at a fair price than a fair company at a wonderful price”. And while the V stock price might seem steep, it still looks fair. Visa Stock or Mastercard Stock? This time around, Mastercard reports a week after Visa, and it’s an interesting question as to whether V stock or MA stock is the better pick at the moment. For the most part, I don’t think investors really can go wrong. I think MA stock, too, is worth buying but at the moment I’d lean slightly in favor of V.
V stock is cheaper, after all. Mastercard has better growth at the moment, but it’s still the number two network in the U.S. MA stock actually has outperformed V stock rather handily of late. Mastercard stock is up 15% so far this year, and 56% over the past twelve months. The figures for the V stock price are 6% and 36%, respectively. So I agree with Guggenheim, who argued V stock is the better buy for the rest of 2018. EvercoreISI took the other side of the argument in March – and made a solid case in the process. Overall, though, this looks like an attractive sector, if the price is right. For some of the newer processors – among them SQ and PYPL – I’m not sure that’s the case. For Visa stock, however, I still see upside. And I expect that next week’s report will remind investors why V stock is worth paying up for. Article printed from InvestorPlace Media, https://investorplace.com/2018/04/visa-stock-big-winner/.